"This place is called the Mariposas because the great multitudes of these, especially at night and in the morning, could not be more troublesome, their eagerness to hide from the rays of the sun reaching such proportions that they pursued us everywhere, so much that one got into the ear of one of the Expedition Leaders, causing him great discomfort and not a little effort to extract it." El Arroyo de Las Mariposas was only the beginning. The name would later be given to a county, a thriving mining camp, a lily, and a sparkling-white quartz rock veined with vivid green ore, halfway between turquoise and emerald in color, known as Mariposite. The mining camp of Mariposa materialized in the spring of 1849 when a miner named Alex Godey found a few flakes of gold while prospecting the streams of Colonel Frémont's Las Mariposas Grant. Gold was plentiful in the vicinity and it wasn't long before a good number of miners were settled in along the small flat bordering Mariposa Creek, a little ways below the present Hwy 140 bridge. Later that fall, Palmer, Cook & Co. sent about fifty men from San Francisco to work a claim they had leased from Frémont which later became the Mariposa Mine. Their arrival soon led to a townsite being laid out, and Mariposa took its first step towards permanency. In addition to the rich placers of the area, the camp chanced to be located on the gold-bearing quartz veins of the Mother Lode. Its future thus insured, the small mining town grew in size and importance as miners from the surrounding areas gravitated to the rich diggings. Saloons, general stores, restaurants, and hotels were quickly established to take care of the miners' every need. Mariposa County was one of the original twenty-seven counties created in California when the boundary lines were drawn in 1850. At that time it occupied more than one-fifth of the state's area, approximately thirty thousand square miles. Stretching from the Coast Range to the present Nevada state line, and touching Los Angeles County on the south, Mariposa County unwillingly became the "Mother of the Counties," as huge parcels of land were annexed away to create six new counties and add pieces to five others. It was eventually whittled down to its present size, a mere 1,455 square miles. The county seat was moved here on November 10th of 1851 from the nearly abandoned Agua Fria, which had lost most of its population to the rapidly expanding Mariposa. 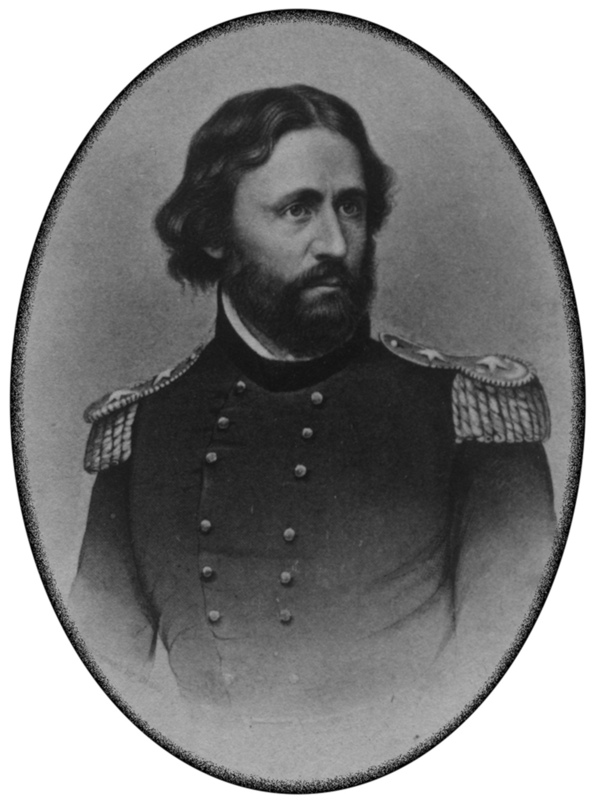 Although he never lived in Mariposa, Colonel John Charles Frémont - the famed explorer, army officer, and presidential candidate - had a major influence on local events. In fact, he at one time owned the entire town as it was located within the boundaries of his vast, forty-four thousand acre Mariposa Land Grant. This massive property was originally a Mexican Grant given to Juan Batista Alvarado in 1844 by Governor Micheltorena. During these early years, the boundary lines of such grants were often rather vague. Such was the case with the Mariposa Grant, whose original location was narrowed down as being somewhere "within the limits of the Sierra Nevada mountains, the Merced, the Chowchilla and San Joaquin rivers." In 1847, Frémont gave $3,000 to Thomas O. Larkin, the U.S. Consul to the Territory of California, in order to buy the Santa Cruz Ranch, a choice piece of property located near San Jose. When next Frémont and his wife happened to meet Mr. Larkin, they were in for a little surprise. "To their stupefaction the Frémonts learned that Larkin had not bought the Santa Cruz Ranch as he had agreed to do, but instead had bought for them a wild tract of land somewhere high in the Sierra Nevada called the Mariposa Ranch. It was inaccessible, a hundred miles from the nearest settlement, one hundred and fifty miles from San Francisco, with no farming land, too wild and cold in winter even to graze cattle, and overrun with hostile Indians. Quite possibly, Larkin may have bought the Santa Cruz Ranch for himself. Frémont was bitterly disappointed at having been sold what he considered a worthless parcel of land. However, when gold was discovered in placer deposits near his property, Frémont became less bitter. As his grant was a "floating" grant, with its exact boundaries undetermined at the time of making, Frémont quite probably laid claim to some land which wasn't his in an effort to gain control of the mines. The U.S. Land Commission eventually ordered a survey to determine the exact boundaries of the grant. Allexey W. von Schmidt did the survey during the months of April and May of 1852. Laid out in three sections, the grant (which was for agricultural as well as mineral land) was often referred to as the "Frying Pan Grant" due to the survey's resemblance to that utensil. The survey also chanced to include a section of the Mother Lode gold belt. The town's streets were laid out in 1849, with many of them being named for members of the Frémont family. The main thoroughfare, Hwy 140, is also known as Charles Street, after Frémont himself. Jessie Street was named for his wife, Jessie Benton Frémont, while Bullion Street was named for her father, Senator Thomas "Old Bullion" Benton. Jones Street honors Frémont's brother-in-law, William Carey Jones. As with most early Gold Rush towns, the threat of fire was always lurking about the hastily constructed buildings, awaiting its opportunity to reach out and touch something nice and flammable. Mariposa survived two disastrous fires, one in 1858 and another in 1866, the latter destroying over sixty buildings. But as long as there was gold in the ground, or other business to tend to, the town would be rebuilt. And it was. Mariposa is located on Hwy 49 and is on one of the main routes into Yosemite. It's a great town to spend a few hours, or a few days, with plenty to explore in the surrounding areas. St. Joseph's Catholic Church is one of the first sights visitors to Mariposa will see as it is located on a little eminence overlooking the south end of Bullion St. Its elegant design and typical New England steeple make St. Joseph's one of the area's most familiar and photographed landmarks. The land upon which St. Joseph's rests was donated by R.S. Miller and Alex Deering, who were operating the Mariposa Mine located directly behind the church. Construction began in the fall of 1862 under the direction of Father Auger and was completed that same winter. The church was dedicated by Archbishop Joseph Sadoc Alemany on January 18th of 1863, and is still in use today. St. Joseph's was the first permanent Catholic church in Mariposa County. Prior to its construction, Catholic priests saw to the miners' spiritual needs wherever they could find a meeting room, or in temporary churches, otherwise known as tents. The church, rectory, and cemetery are all listed on the National Register of Historic Places. The Catholic Cemetery is located behind the church and a quiet walk through the tall grass, flowers and old headstones will reveal many well-known names of Mariposa County pioneers. The Mariposa Mine sits high on a hill behind St. Joseph's Church, a silent reminder of the days of old. Mexican miners searching for the source of the rich placers of Mariposa Creek made the discovery. Tracing a trail of gold-bearing quartz fragments along a smaller tributary, they came to a huge outcropping from which the placer deposits had been eroded. This vein developed into the Mariposa Mine, notable as the first lode or hard rock mine in California. Frémont recognized the need for a stamp mill to separate the gold from the quartz, so in February of 1849 he sent James Duff and the first stamp mill around the Horn. 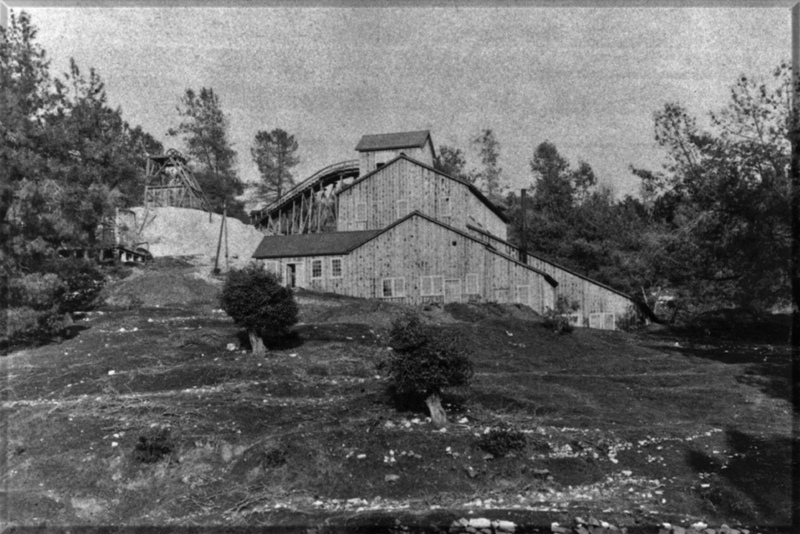 By the time Duff and the mill reached Mariposa that September, Frémont had leased the mine to Palmer, Cook & Co., who then set up the four-stamper on Mariposa Creek, just a short distance from the mine. Operated by a forty-foot overshot water wheel, the mill crushed a fortune. The mine's main shaft eventually reached a depth of 1,550 feet and produced an estimated $2,395,405 in gold, approximately 116,000 ounces. That would be over $162 million in relation to current gold prices of today. The Mariposa County Jail stands in granite silence on a small knoll above Bullion Street, looming over the town below. With its massive, twenty-four inch thick walls and tiny, iron-barred windows, it presents a bleak and foreboding appearance, reminding us of what it was like to be incarcerated back in the "old days." Hospitality and inmate comfort were definitely not a concern. This stone edifice is the second jail to have served Mariposa County since the early 1850s. The first jail was constructed in 1852 of logs cut from an area known as "Logtown," located behind the present public and fraternal cemeteries. Located near the creek behind the Trabucco Warehouse, the first jail was burned in the fire of 1858 which consumed most of the south end of town. Its replacement was built that same year, at a cost to the county of $14,770. Built by J.O. Lovejoy, this thirty-three by twenty-six foot structure was constructed of dressed granite blocks quarried and hauled in from Mormon Bar, two miles south of Mariposa. The granite intrusion from which these blocks were cut coincidentally forms the southern barrier of the Mother Lode. As originally constructed, the jail had two stores and a gallows at the east end of the yard. Many bad men, very bad men, were held here over the years and several successful escapes occurred, usually by overpowering the guards. Thomas Truit, the prisoner, may have been responsible for setting the jail on fire in an unsuccessful escape attempt in 1892. The fire gutted the building and took the life of its only inmate. When the jail was rebuilt, a gable roof replaces the original flat roof over the second floor. Excess granite blocks from the rebuilding were stored and eventually moved to the county fairgrounds in the early 1950s, where they were used in constructing retaining walls. The old jail, while still looking capable of confining even the most heinous desperados, hasn't held a prisoner since it was condemned in 1963. The Mariposa County Courthouse is the oldest county courthouse in continuous use west of the Rockies. Constructed in 1854, it is one of the finest remaining examples of nineteenth century Greek revival architecture in the Mother Lode. With the great influx of miners during the early days of the Gold Rush, the need for a county center and courthouse became readily apparent. Up to this time county business was conducted by a Court of Sessions in rented buildings, usually those of the County Clerk. Only July 21st of 1854, the Court of Sessions awarded a contract to P.V. Fox and A.F. Shriver in the amount of $9,000 to build a courthouse by the end of the year. The lumber needed for construction was whip-sawed from a fine stand of white pine located less than one mile from the building site. It was then hand-planed, including the tongue-in-groove, at the job site. No nails were used in the supporting structure as the main structural points were held together with pine pegs and are strengthened by mortise and tenon joins. In January of 1855, the two-story, fifty by forty foot courthouse was accepted and court was in session. The courtroom, located on the second floor, still contains many of its original furnishings. A close examination of the benches will disclose the marks left from the carpenter's plane, even after 140 years of friction from the backsides of spectators and witnesses alike. The years have seen many changes, additions, and deletions to the original structure, the most famouse being the additiion of the clock tower and clock in 1866. Shipped from the East around Cape Horn - at a cost of $1,130.35 - the bell alone weighs 267 pounds and is inscribed with the following: "Naylor Vickers & Co., 1861-Sheffield." The four-faced clock is wound by cranking two weighted cables onto separate drums and is still hand-cranked today. Listen for the bell as it bongs on the quarter hour. The courthouse is located on Bullion Street between Ninth and Tenth. The Independent Order of Odd Fellows Hall dates back to 1867 and is still in use today for meetings and various functions. I.O.O.F. Lodge No. 39 was chartered in 1855, and after their original, wood frame meeting hall burned to the ground in the great fire of 1866, the members got together and managed to raise the necessary funds to erect the impressive building which stands today. It's located on the corner of Sixth and Hwy 140. The Schlageter Hotel has the distinction of having once provided presidents with shelter from the storm; Presidents Grant and Garfield are among the travelers whose names appear on the pages of its register. Originally built in 1859 by John F. McNamera and known as the Pine Tree Hotel, the two-story hostelry was the town's leading place of accommodations, boasting fine service and luxurious rooms. Herman Schlageter purchased the Pine Tree Hotel in 1862, changing its name to the Schlageter Hotel. Unfortunately, the hotel was destroyed by the conflagration of 1866, as was most of the town. Schlageter wasted little time in rebuilding, creating an elegant, two-story brick hotel with wide wooden balconies before the next year was out. 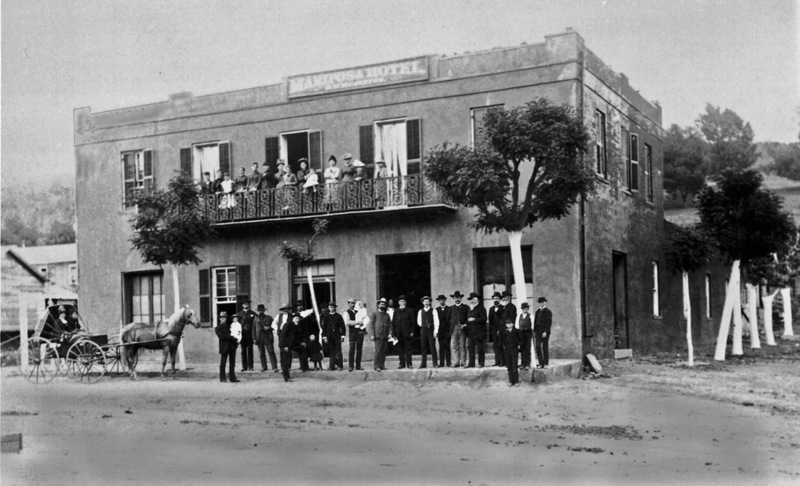 At one time (while known as the Mariposa Hotel), a wrought-iron balcony graced the upper level of the hotel, but it was replaced in 1901 with the present veranda. Frémont's Office Building dates back to 1850 or 1851. In this adobe building, Frémont's lawyers planned and plotted their case as they argued for clear title for Frémont's Land Case No. 1, through the local, state, and federal courts. It stands on the northwest corner of 5th and Charles streets. The Mariposa County History Center offers an excellent museum for visitors interested in learning more about the early history of Mariposa County; its native Americans, the Spanish and Mexican explorers, and of course, the Gold Rush pioneers. Located in the restored home of County Treasurer George Counts, the first room of the museum presents the interior of the old (1854-1958) Gagliardo Store which was transplanted in its entirety from Hornitos. Other displays include mock ups of typical mining day establishments complete with the items used in those businesses. Outside are located a stamp mill, mule-powered arrastra, early-day log wagons and other interesting exhibits. The original Mariposa Gazette newspaper building is also located on the museum grounds. The museum and be found at Twelfth and Jessie streets. It's well worth the visit. The California State Mining and Mineral Museum is located just south of town, at the Mariposa County Fairgrounds. It is a great museum and has some fantastic displays of gold and minerals from around the state. "A visit to the California State Mining and Mineral Museum offers you the chance to explore the variety of California’s mineral wealth, view breathtaking gems and minerals from around the world, and to experience a bit of California’s exciting mining history." I definitely recommend it.